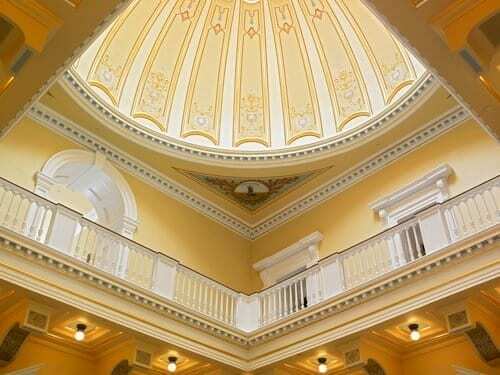 Virginia State Capitol | John Canning & Co.
Canning Co. entrusted with the restoration and conservation of Palladian-style statehouse designed by Thomas Jefferson. 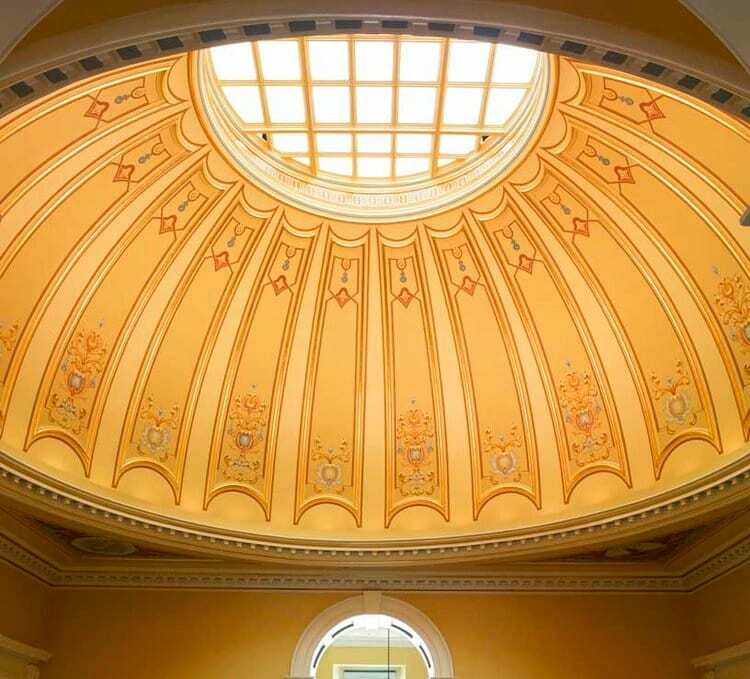 For the Virginia State Capitol, John Canning Co. restored the historic decorative painting and gilding in the Chamber of the House of Delegates, Senate Chamber and the Rotunda. The Capitol’s design is attributed to Thomas Jefferson and it was completed in 1788, with east and west wings added in 1904.